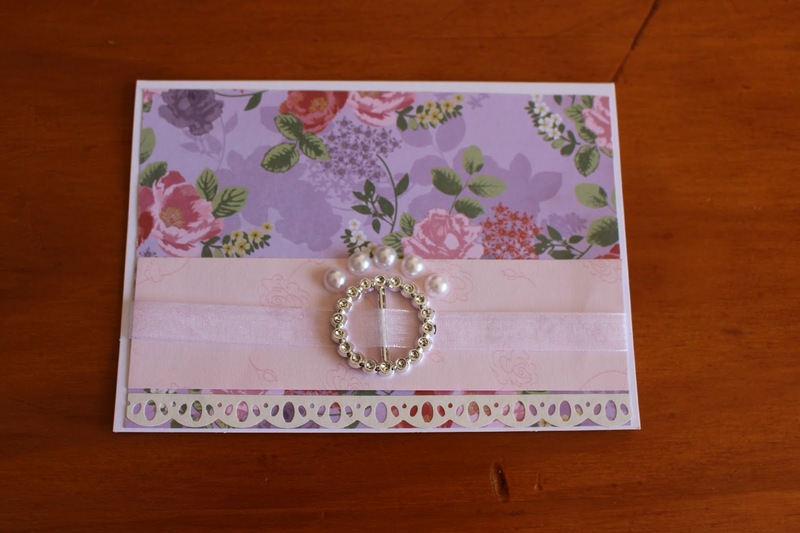 We all know cards are expensive, especially the really beautiful handmade and richly embellished cards. They can often run to $11 or more each. Aldi have a box of handmade cards on sale for $14.99, or 50 cents each. I've seen boxes of 50 handmade cards (that were actually pretty ordinary, especially for handmade cards) for $29.99 and $39.99 at speciality shops. 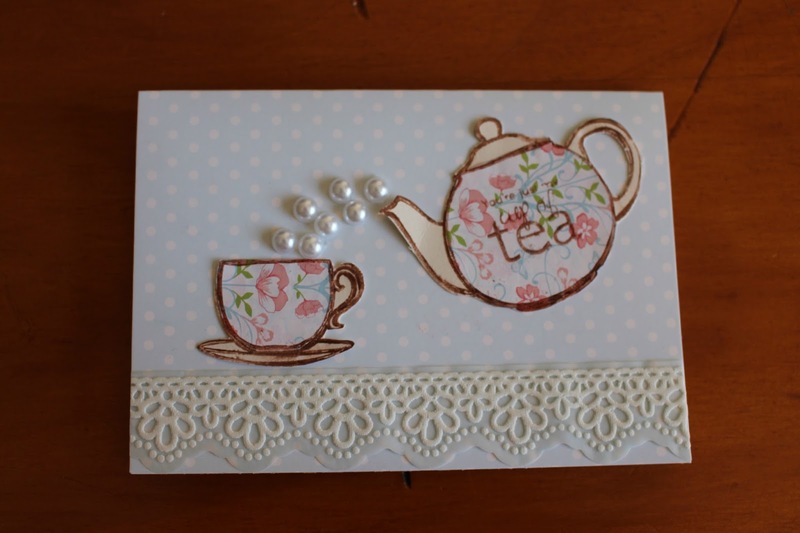 You're my cup of tea - a simple design using stamped papers, trimmed and layered onto paper. Why not make Mum a card box, with a year's supply of birthday cards and a variety of every day cards: thank you, new baby, get well, sympathy, Easter, new home, engagement, wedding and blank (so she can choose the occasion and the sentiment). You can buy blank cards from craft shops, $2 shops, Riot Art'n'Craft, Kmart, even Target. You'll pay about $2 for a pack of 5 blanks with envelopes from the $2 shop, $5.50 for 50 cards and envelopes from Kmart and more from specialty craft shops. You can also buy A4 sized cardstock and make your own cards, but you'll also have to make your own envelope if you choose this option. There are pads of pretty printed cardstock available, they are usually around $16 - $24 each depending on where you buy them and the brand. For now, I'm happy to pay the 11 cents each for the blanks and envelopes from Kmart. Wendy, from our $300 a Month Food challenge and over at My Abundant Life makes gorgeous cards, for just a few cents each and she has a card making tutorial on her blog. If you'd like some ideas for beautiful handmade cards that won't cost you more than a bought one, please visit her blog and go through the tutorials. There are dozens of card making and paper craft magazines available, but boy are they expensive. 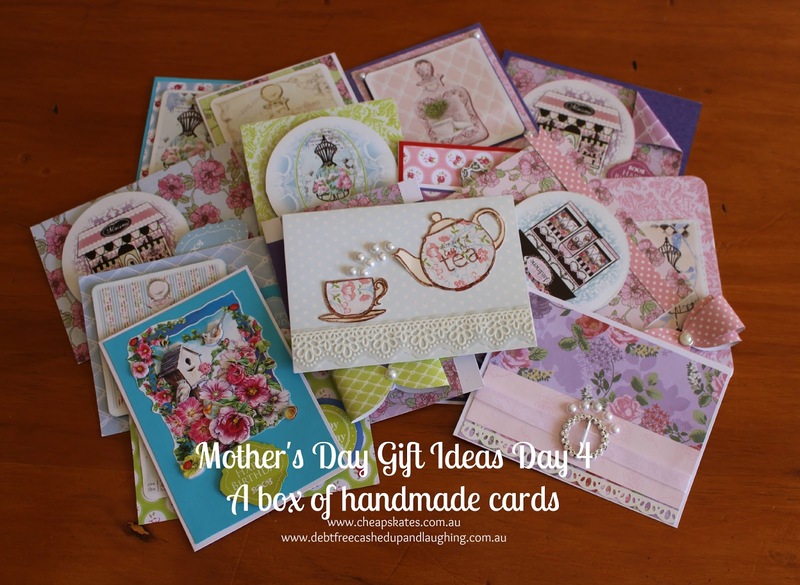 They all have websites and on those websites you'll find ideas and inspiration, but even better you'll find instructions for making beautiful cards. 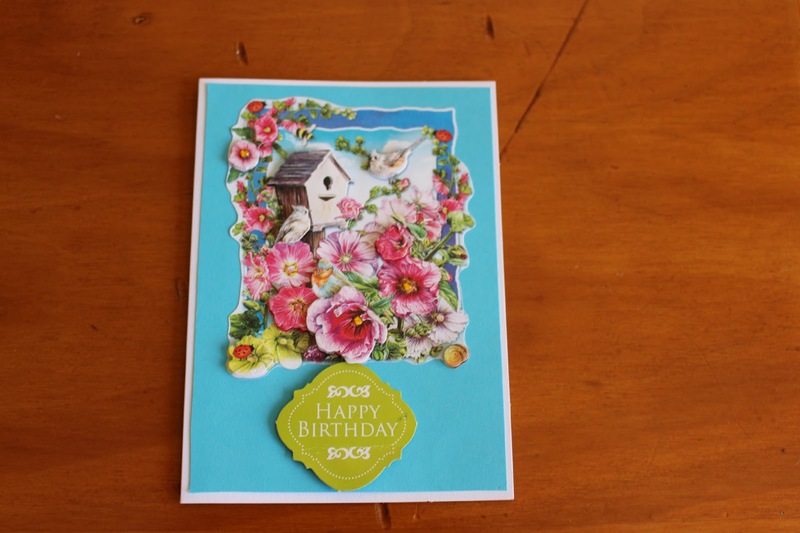 It gets better though, because you can print gorgeous papers and embellishments to use in your card making totally free. So much to see and learn on this website. Lots of freebies, including pretty papers you can print as you need and some lovely templates to use for fancy cards.You do need to hand over your name and email to access the .pdfs but you can then choose whether or not you get emails from them. This is an American site. I love the beautiful, free card designs, but best of all I love that the materials are just listed as generic materials, no particular brand names are used, so I can adapt the items in my stash to suit.